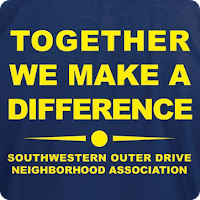 Get your Southwestern Outer Drive Neighborhood Association T-Shirt. *An $0.80 convenience fee per item is added to all online payments to cover transaction costs. 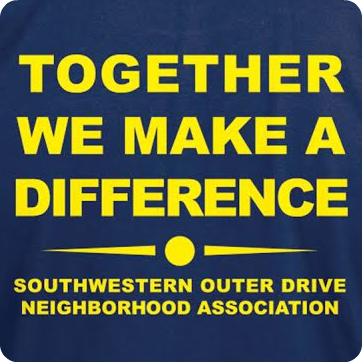 T-Shirts are available for purchase at any General Meeting. Can't make it to a meeting, but still want a T-Shirt?